Christmas on Stonebriar, 78 x 90 inches, by O.V. Brantley, 2003. There is nothing more precious than a quiet day of quilting after an onslaught of preparations for back to back events. Now that my Fabric is Better Than Food Brunch and my Holiday Open House are over, I can spend a quiet day enjoying my home and re-capturing my creative spirit. My quilt Christmas on Stonebriar is perfect for just such a day. This quilt is a classic row-by-row quilt. 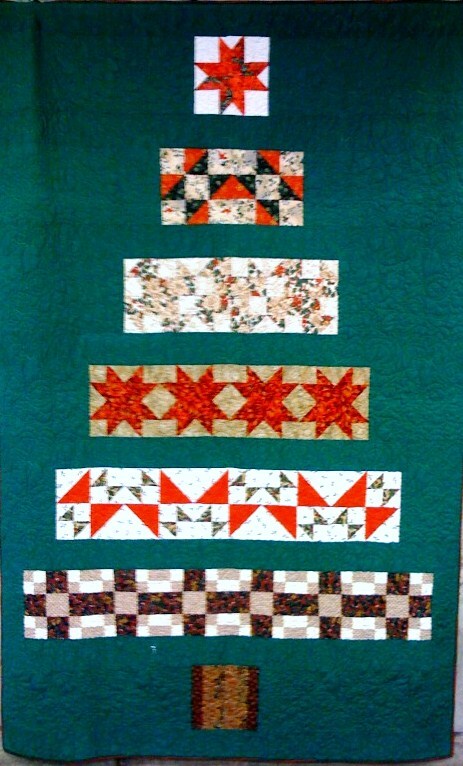 This entry was posted in A Quilter's Life, Christmas Quilts and tagged African American quilter, Christmas quilt, O.V. Brantley, patchwork, row by row, wallhanging. Bookmark the permalink.